I am learning new words almost every day. courtesy of my 4 year old Kiddie J. Whom I just don't have the heart to correct because I'm laughing so much. You have till 25 July 2009 to catch the show. This blog has nothing whatsoever to do with the play other than the blogger having had a very good laugh at Michael Chiang's Army Daze many years ago. It was a colleague's birthday and she received a bouquet of flowers from her hubby amidst some oohs-and-aahs from the office. So i went home and nudge-nudge-wink-wink at hubby and told him about my colleague getting flowers from HER HUBBY. and the last time I received flowers from him was a single carnation on Mother's Day this year. All he could managed was an open mouthed "Or..." and uneasy side glances at me. 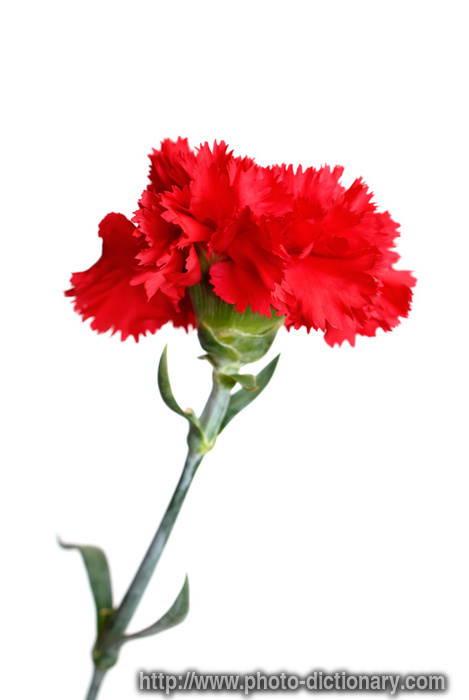 The carnation was perfect. Birthday Bouquets unnecessary. But it is really alright to let him sweat a little, some times. Warning : long rambling post with little joy, some nuggets of truth and too much nagging. At your risk please. As I carry #3 into the start of 3rd trimester, I find myself pondering more the building and maintaining of a relationship. Supposedly in that order, and only about family ties today. And how easy it is to be taken for granted and to take for granted through one's life from birth to adulthood. OK, it is quite easy to be the center of all attention when in babyhood, no matter when cooing or when one is a screaming bundle of baby blues, especially the latter. The baby generally does not care except that there is a warm body to feed, cloth, cuddle and change a wet/ dirty nappy. (oh but i hear you, if one is not a fish, what does one knows what a fish feels?) There is no question of being taken for granted and when the foremost consideration is survival (for both the baby and the parent) and as much sleep as possible (for the parent). As one grow older, it is easy to take for granted the simple yet total idolization of a child. Sadly some parents inflate themselves and mistakenly believes in their own invincibility as pro-offered in the child's eyes. They then forget that they are all the child have at this stage and do not tend to the relationship with TLC, instead littering it with careless little snubs and these impressions lasts forever. Rejection and disappointment is never gonna be forgotten, they may be fresh as a open wound, or some what healed with a scar. A child longing for a hug being told by a parent that this is not what is practiced in that conservative Asian family will never again accept a pro-offered hug or offer one to that same parent. A parent who brushes off a child questions and opinion because they are from a child and not a peer will never be his confidante. As the child grows into a tween or young adult, he assumes the cloak of invincibility when one is young and unafraid, and therefore scorn the advice or the elders (though truth be told, the road to hell is paved with good intentions). Instead of learning from others' mistakes, he prefers to make his own and learn at his own pace. The prerogative of the young. The child morphs into an adult. If the ties are strong and multi-layered, there will be mutual affection and care. If the relationship was based on logic, there might be cordial filial piety. It may end up a cold calculation of usefulness and worth or worst, abandonment if the child feels unloved or received little care as a child. As one enters into old age, there then descends a very logical (but may not be wholly justified) thinking that one is owed for the resources given. Unfortunately, it is often misunderstood by the old that the food and shelter they have given should be returned in form of love and affection, instead of in kind. Nonetheless, all of us are guilty of assuming that our parents will live forever. Utter foolishness. If one is unable to walk on the wider path and conjure up forgiveness, I do recommend that one at least try to let go. Let go of the hurt. Holding on to a open wound, repeatedly visiting it and peeling at the scab gives the other too much power, and is a waste of energy. Imagine moving through life with an open wound on a limb where every touch, even by unsuspecting others, or a scene from a movie/ book/ whatever triggers fresh blood and pain. Why allow it? Back to the family. There really is not anything we can do to change another, the will of younger being especially powerless against the older (no matter the age, the equation holds). So I say enjoy the moment, be it a family meal or watching TV together. Stop rolling your eyes, be a duck and let the small stuff roll off your back like so much water. For long suffering and on-going hurts, say one's piece and move on. Again, only you can decide what you choose to carry, what will hurt you, and be hurt only because you allow it. - they are loved no matter what they do. I will get angry but I still love them. - they are worthy of love by others and themselves. Only an understanding of one's self-worth can build a strong foundation for self-love and self-respect. - love is manifested by physical affection and care in a multitude of small and sometimes unseen ways. Love is thought AND action. - they are capable of doing and being anything they want. Obviously the degree of success differs based on natural ability or inclination, but dream and DREAM BIG! You'll never know unless you try. - a sense of right and wrong for oneself, family and society. One cannot truly say to love one self or family without consideration for the wider society too.